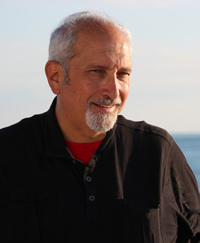 The recent discovery of the long lost U.S. Navy tugboat USS Conestoga (see Numa.net, Jan., 2018) fueled the hopes of Marvin Barrash, Kent Island, Maryland. The tugboat had been lost without a trace for over 100 years—just like Marvin’s mystery ship USS Cyclops. His interest remains keen having had a great uncle, Lawrence Merkel, go down with the ship along with 308 other men. The 64-year-old government employee began researching the demise of the 542-foot coal carrier 21 years ago. He amassed naval records, photos, logs and dispatches as he tried to detect clues to the mystery of the worst noncombat loss in the history of the U.S. Navy. 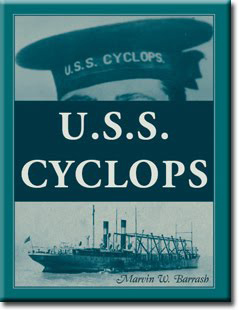 He published a book in 2010 on the saga of the Cyclops and is working on a second one. Meanwhile, he has approached U.S. Rep. Andy Harris about creating a monument in memory of the Cyclops. Harris, a Baltimore County, Maryland, Congressman says, “As a Navy veteran, I feel that I have a duty to honor the men of the USS Cyclops, many from Baltimore who never returned home, and the families they left behind.” With Harris backing him, Barrash hopes the Navy will consider some sort of memorial. He has suggested that a monument to the ship and the 309 men who perished be displayed at a military place of reverence. Barrash believes that “several circumstances” doomed the navy’s biggest coal carrier. He thinks it ran into rough seas, perhaps a sudden squall, and “turtled” over without warning. The ship was also overloaded, possibly unbalanced and running on only one of its two engines. After a stop in Barbados to resupply, the “floating coal mine” as some newspapers called her, set out for the remainder of the voyage. 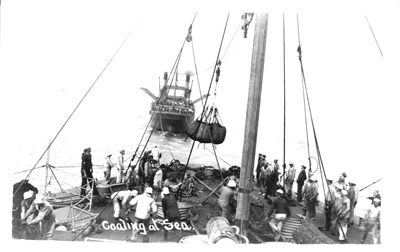 Built in Philadelphia and based in Norfolk, Virginia, the steel hulled collier was designed to refuel ships at sea, a risky cable and bucket procedure. It took on other assignments as well, including its last itinerary: to load 10,000 tons of manganese ore in Rio de Janeiro, Brazil, and deliver it to the steel yards in Baltimore. Denser and heavier than coal, this was an unfamiliar cargo for Capt. George Worley and his crew. So was running on one engine. 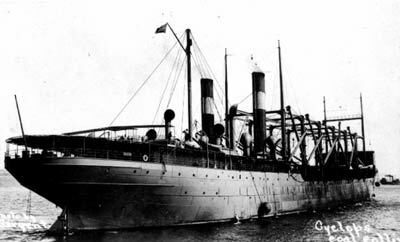 While in Brazil, the captain reported the engine trouble, but was told the replacement part should be ordered from the Cramp Shipbuilding Company (builder of the collier) and arrangements would be made for repairs upon arrival in Baltimore. The Cyclops departed with only the port engine operational. Assuming all was satisfactory, the captain and crew proceeded with the journey, never to be seen or heard from again. Navy cruisers scoured thousands of square miles of trade routes, beaches and bays, while radio operators tried repeatedly to contact the lost ship. Yet nothing turned up. Wild speculation emerged such as a German submarine attack, cargo fumes poisoning the crew, or a mutiny, sea monster or meteorite causing havoc at sea. Some of the speculators blamed the loss on shifting currents in a region later dubbed the Bermuda Triangle. In 1968, while searching for a missing submarine, Navy Master Diver Dean Hawes descended on a hulk in 180 feet of water off Cape Charles, Virginia. He was amazed by the size of the vessel but had to ascend as bad weather approached. He persuaded the Navy to return for another look, but the wreck couldn’t be found. Marvin Barrash hopes it will be soon.